It doesn’t matter if you are a morning person or a night owl, whatever time we start the day we all start it the same way.We each start our day with a limited amount of decision-making ability. Think of your decision-making as though it was the gas tank for your vehicle. In this case you are driving an older model then you might want so make sure you keep your vehicle in good shape. Of course we hope you have figured out that we are speaking of you, not your car. Are you the type of person that runs your vehicle (again, we are not really talking about your car) until the little red light turns on, you get alert messages that you are on fumes and you are not going to get much farther? Not the place to be if an emergency comes up. It would seem that some of us have a larger tank that others in this area. Not so. What the real difference is, some people know how to use their decision-making ability better than others. Don’t use up your decision-making fuel on some of the easier things to handle. Before calling it a night, pick out your outfit for the next day. Don’t waste any of your valuable morning decision-making juice on this choice. In the morning most people can’t think straight and just to get moving will put on different socks, outfits that no normal person would wear or spend time going through 3 or 5 different options. Do you work out in the morning? Lay out your workout clothes the night before as well. This will make it harder to say no to the workout and will prime your pump for the rest of the day. Before you call it a day and leave your place of work, leave the most important thing for you to do first thing the next day front and center on your desk. Don’t come in to work and start thinking about what you should tackle first, have it ready and waiting. There are days we can coast through and end the day with a full tank still and there are days we will run out of decision-making fuel and have that extra gallon of ice cream right before bed. Set yourself up for success by setting yourself up with habits each and every day! 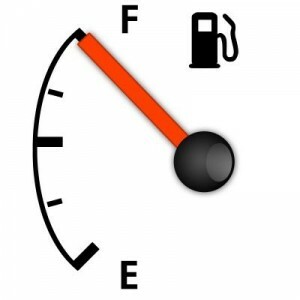 Chadalyst – Conserve your fuel – plan your calendar and stick to it and you won’t have to make decisions on small things.